Historic New England’s guidelines for managing allées (PDF) are newly available online. An allée is a path or driveway lined with trees or shrubs that create a formal design. 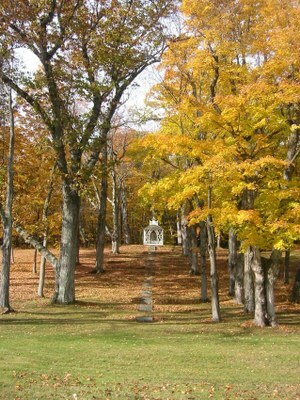 Over time, the individual trees in an allée decline. As they areremoved, it becomes challenging to preserve the overallintent and form of the allée. HistoricNew England has several allées at sites such as Barrett House and Cogswell’s Grant, and our study of allée management has informed the new guidelines. Visit the white paper section to learnmore about tree care and other topics. We are constantly reviewing, refining, andupdating our approach, both through preservation projects and documentation available online. Share your thoughts on allée management or any of our white papers in the comments section below.